Maddon’s mom had driven two hours to Philadelphia International Airport, and her delayed flight didn’t leave until about 90 minutes before game time. Maddon spoke with Cubs traveling secretary Vijay Tekchandani, and they contacted the police. Cleveland’s 1-0 World Series win over the Chicago Cubs was the most-watched Game 3 in 12 years. Friday night’s game drew an 11.0 rating, 20 share and 19.4 million viewers on Fox, the network said. That was up 39 percent over the 7.9/15 and 13.2 million viewers for the New York Mets’ 9-3 blowout of Kansas City in the third game last year. Actor Vince Vaughn is cheering on his beloved Chicago Cubs. Vaughn was the guest conductor for “Take Me Out to the Ball Game” during the seventh-inning stretch of Game 4 of the World Series. “I love this. This is my childhood team,” he said. Orioles closer Zach Britton, who in 2016 turned in one of the best single-season performances by a reliever, was named Mariano Rivera A.L. Reliever of the Year before Game 4 of the World Series. 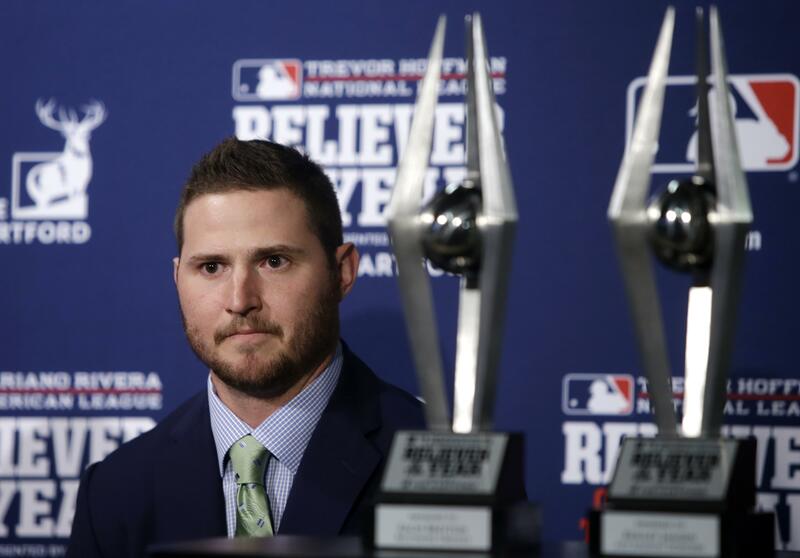 The Rivera award is given to the league’s top relief pitcher. The Pittsburgh Pirates have hired former major leaguer and Spokane Indian (1985) Joey Cora to serve as the team’s infield and third base coach. Pittsburgh also selected Kimera Bartee as outfield, base-running and first-base coach. Additionally, the Pirates promoted Tom Prince to bench coach. Published: Oct. 29, 2016, 9:11 p.m.